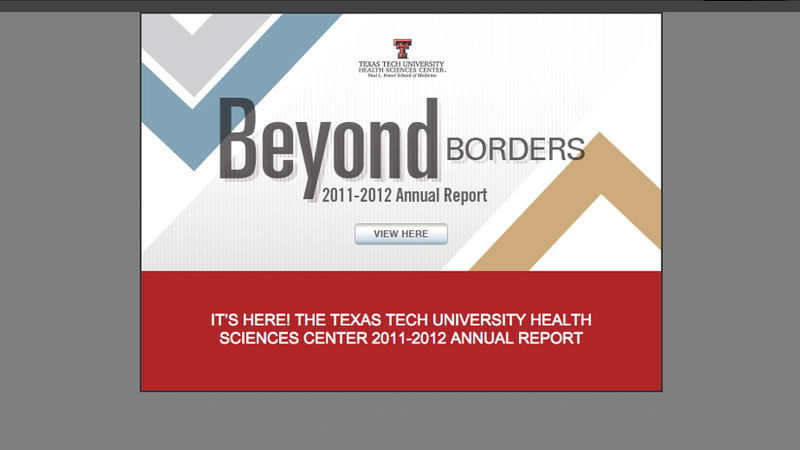 An HTML email design for Texas Tech University Health Sciences Center annual report. The purpose of the email is to direct the audience to the online interactive annual report. 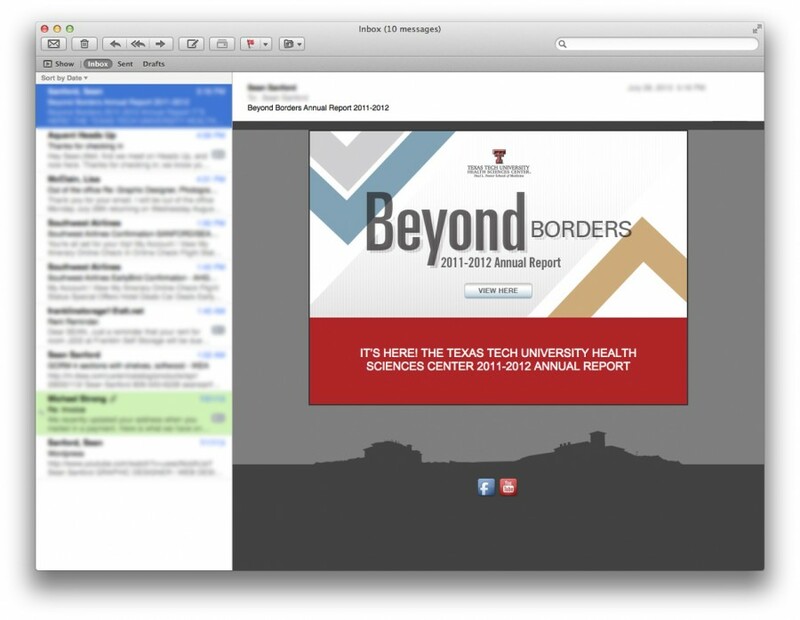 The biggest challenge was getting around the constraint that Texas Tech would not let me use a service to send the emailer, having a security fear of giving out email addresses. The solution I came up with was to create an HTML email signature and sending it directly through the internal emailing list service. I understand that this is not ideal, but sometimes you have to work with the tools you have.